Spencer served in the Royal Canadian Navy (RCN) for 20 years in a variety of Canadian frigates and destroyers and was a member of several RCN operational staffs. From 2000 until his retirement in 2003, Spencer served as a Project Director for the Directorate of Maritime Requirements Sea (DMRS), where he oversaw various national and international programs and was the RCN’s representative to a number of NATO committees and Working Groups. Since his retirement, Spencer has worked in the field of Unmanned Vehicle Systems (UVS), focused primarily on systems designed for military training and surveillance. He was instrumental in bringing the creation of the Canadian Centre for Unmanned Vehicle Systems (CCUVS) to fruition, and has been the Chairman of the Board since 2011. 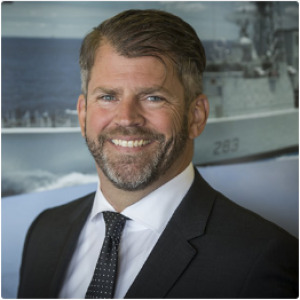 He is currently serving as a board member of the Canadian Association of Defence and Security Industries (CADSI). Spencer is a graduate of the Royal Military College of Canada (BA-1987), Kings College London UK (MA-2000) and Queen’s University (MBA-2003). He is also a Certified Management Accountant (CMA-2004).